This week's FIRE EMOJI playlist is back as always. 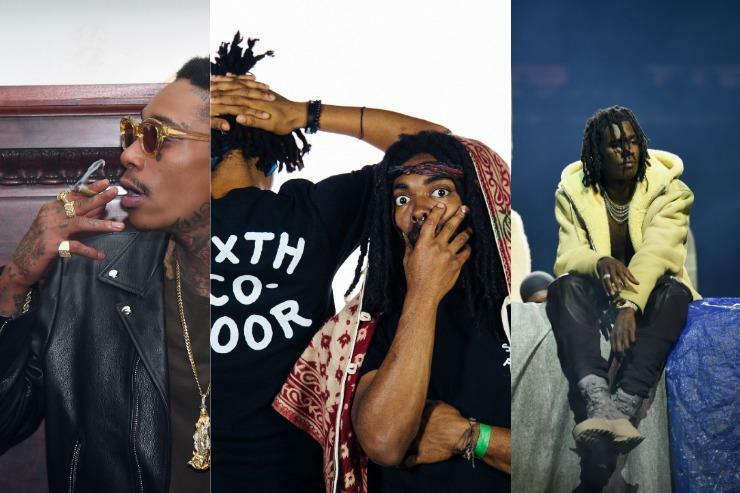 This time around the headlines were dominated by EarthGang's final submission of the hotly-anticipated unveiling of their collaboration with Young Thug. "Proud of U," was perhaps the easiest "crunch" decision our editorial staff had to make this past week. Otherwise, it's been a week of lingering legal setbacks for some of rap's best practitioners, like 21 Savage who grabs a spot on our list on unceremonious grounds with "4L" off his I Am > I Was project. With 21's civil status up in the air, some rappers thought it appropriate to put a moratorium on their daily grind, others not so much. OVO artist Roy Woods falls under the latter category, with his new single "Worth It" effectively bringing his dry spell to a close. Elsewhere, Wiz Khalifa turned quite the trick when he "re-uploaded" his 2009 classic with Curren$y in order for it to reach a new audience. But ironically, it's "Eastside" from their 2009 concept album that bears the same name, making our list this week. Other artists who made their mark this week include Migos, Millie Go Lightly, and for the second week-in-a-row, YSL's Young Gunna.